A lovely neighborhood park overlooks The Avenues. This park boasts tennis courts, an exercise trail, play grounds, paved handicapped accessible paths, a band stand, majestic trees and it is nestled up against Kiwanis Lake, home to a rookery. 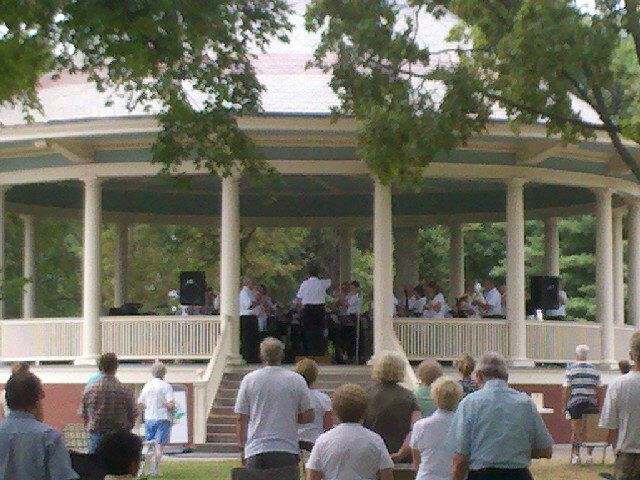 The beautiful bandstand can be rented from the City for events and has hosted weddings, church services, concerts and dance events. Play tennis, croquet or volleyball. Work out on the exercise trail. Climb a tree or swing on a swing. Get outdoors! Kiwanis Lake is home to Great White Egrets and Black Crowned Night Herons. Visit the York Audubon Society to learn more.